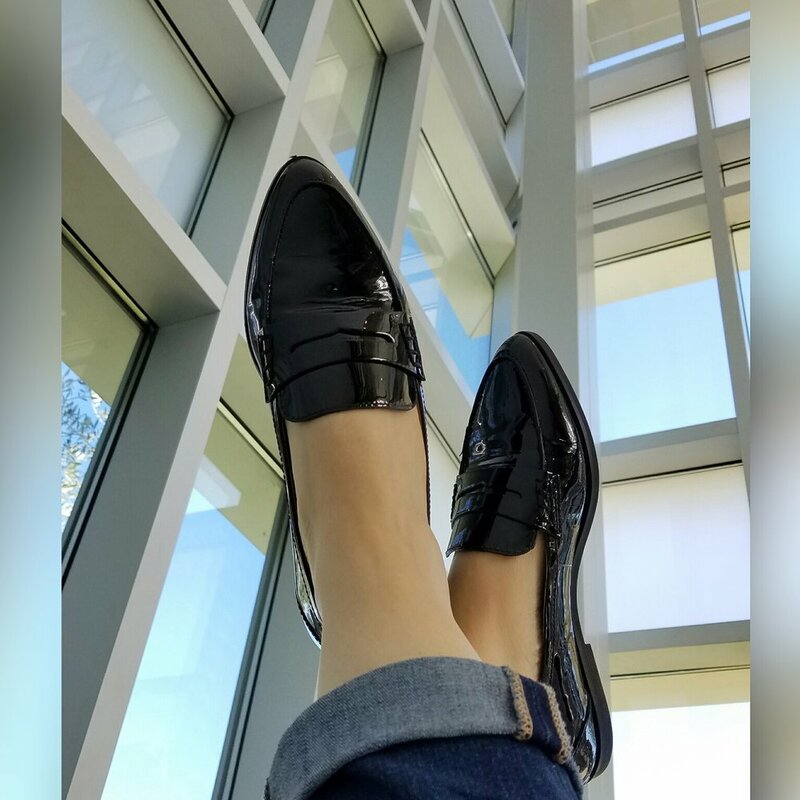 Michael Kors Conner Patent Leather Loafers are available at Macys. They typically look black, but in the sun they are a beautiful deep plum. I also bought the silver metallic which I posted a couple of weeks ago on instagram. When I was at the mall, I was in search of the perfect loafer. I wanted booth look and comfort. Once I slipped my foot into this shoe, it was over. The comfort was awesome. The leather inside the shoe is so soft, I didn't feel any rubs or discomfort. I was so excited with this purchase that I purchased a second pair. Overall, great quality inside and out. Highly recommend this shoe. I usually wear a 7.5 and they seem fine. You can try a half-size down to have a more fitted form. There is a possibility the letter might stretch just a tad. For the most part I would say true to size.